Sometimes comment section gets fired with unnecessary reviews and spoilers. Last time we remember one of our post got spammed and we had to stop comment posting for that particular article. Some news articles and marketing advertising message started appearing through comments and there was no other option rather than stopping comments. Later on we posted the same article with all basic comments which were previously on the article. It is always a good idea to have comments ON for posts, but due to some or other security reasons, you may want to put it OFF. How to turn OFF Comments in Blogger Posts? Note: Most of the time using anonymous comments in comment section causes some spamming. 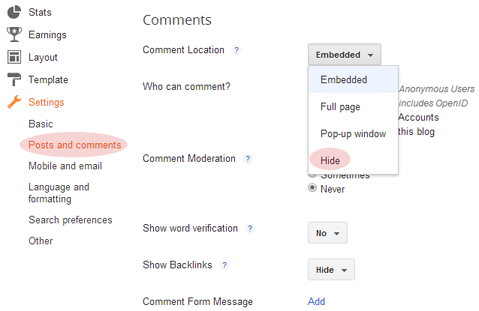 Keeping Comments Moderation is great idea to stay away from spamming. On right side Go to "Post Settings"
Edit Options and Select "Don't Allow". 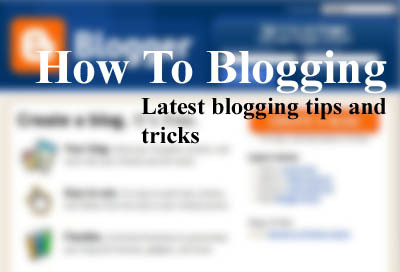 Always stay cautious while Blogging or developing website. Never blindly steal information from others or use other's images, don't even try to modify copyrighted images. Be focused, refer other content and prepare your own articles.